Discussion in 'The Tavern' started by Yuli Ban, Dec 5, 2018. Would you play a VRMMORPG with a haptic suit or cortical modem? In this thread, post stories/articles about real life developments that resemble/build up to the games we see in litRPG. There's a peculiar phenomenon that occurs when people accidentally go to sleep while still wearing VR headsets. When they wake up, their minds do not fully register that they are still in a virtual environment, leading them to believe that everything around them is real! I'm falling asleep in VR tonight! Falling asleep with the VR headset on is the weirdest experience. TIFU by falling asleep wearing VR headset, breaking my monitor, and making my parents think I'm dying. For a brief moment, virtual reality becomes your reality. But for right now, the only way to achieve this effect is to go to sleep and wake up in a virtual world. Virtual reality is a feast for the eyes and ears, but what about the rest of your body? Companies are experimenting with ways to incorporate touch into VR experiences, and while products like the Sense Glove are cool, the Teslasuit is an effort to more fully immerse people in virtual environments by providing (almost) every inch of your body with haptic feedback. At CES 2018, Digital Trends talked to Teslasuit CEO Dimitri Mikhalchuk about the suit’s progress. 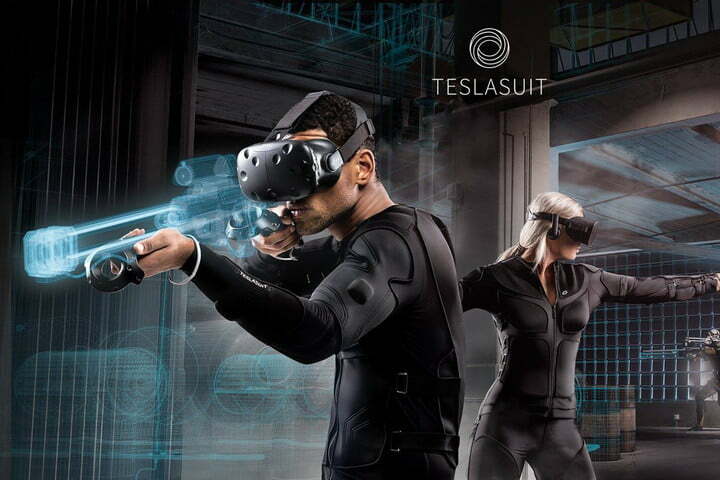 The Teslasuit has started shipping out developer kits for game designers (since VR equipment lives or dies based on the software available), and hopes to have consumer models available in 2019. Full-body haptic feedback is one of the missing links between virtual reality as we know it today and a completely immersive “holodeck” experience, so we doubt the company will have trouble finding VR pioneers willing to pony up the cash. I absolutely love VR Cardboard, though I also think there is a lot of traditional gameplay elements I like that get sorely missed in current games for the system: Permadeath, Procedurally generated dungeons, and (in my own variation that I develop) a focus on Cipher solving, rather than combat. The advantage VR seems to have at the moment, is a potential for more character-oriented stories to make more of an impact, especially if the character your player falls in love with (by that I mean the one the character you play as has as a love interest) has a really realistic and human AI. I guess that's why I like killing them in Revolutionary France, or the Wild West. Or my favorite: Revolutionary France mixed with Wild West. This is just year 1, with gen 1 VR at that. OrbusVR is an indie project, but imagine if a major studio threw their hat in the ring during the next generation of VR. wait… so nobody thinks whoever created litrpg was trying to hype up their secret vrmmorpg but was killed testing it?